As a singer-songwriter who missed the gravy train of the early 1980s, Lloyd Cole has had to continue releasing albums and touring for the last 20 or so years to keep himself fed, clothed, and more importantly in new golf clubs. If stretched, I could probably make you a Best Of CD from the last 20 years, but I still think you’d prefer his earliest work with the Commotions, when he was full of his own smart arse, self-righteous indignation and filled his songs with prose that Chaucer, Shelley, and Keats would have been proud of. He often using four or five words when a lesser writer would use one, and I loved him for it. Not that I would even dream of comparing one of Derbyshire’s finest sons to Bob Dylan, but the apprentice has certainly studied at the feet of the master for 30+ years. Cole uses intimate detail, beautiful wordplay, and imagery in his songs just like His Bobness did in the 1970s. In late 2012, Cole bought a copy of Dylan’s Tempest album and a fire was lit. He realized that he could and should go back to what he did best — writing intelligent songs with melodies, like Dylan had just done. He used to do it better than any of his contempories (yes, I mean you, Mr. Sting). Well, dear reader, the end result is bloody wonderful. The album opens with a raspingly rocky version of John Hartford’s “California Earthquakes”, which is the only cover here. It succinctly explains Cole’s state of mind and could easily have been a key track on his Rattlesnakes album in 1984. But don’t worry about this sounding dated. Lloyd Cole was always ahead of his time. The post-punk pop pace carries on for the next couple of songs, with the pithy “Women’s Studies” nodding knowingly in the direction of Mr. Dylan. On “Myrtle and Rose”, he cheekily half-quotes one of his own finest works, “What Presence Dear”, much to my delight. The spunky electric guitars get another airing on the intricately astute “Opposite’s Day”. On “Kids Today”, he strikes a chord with parents of all ages and their offspring, set to a fabulous melody. 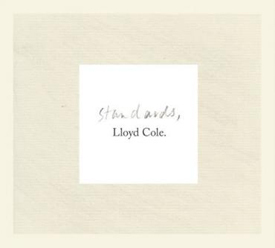 In my humble opinion, this is by far Lloyd Cole’s finest solo album, by a country mile. In the future, it will no doubt be compared favourably with his earliest work with the Commotions.